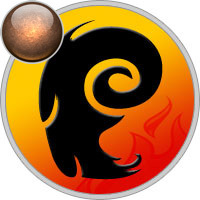 Mercury in Aries makes a person quick in communication and decision making process. They are so quick, that others may think these people do not like to waste extra time over thinking. The fact is such people does not have a lot of patience for mulling, as a result their decisions are often driven by the need for instant gratification. Such people are quick and impulsive in speech and thoughts. They have a habit of enunciating their ideas with an animated expression accompanied by sweeping gestures of the hands. People with Mercury in Aries are generally quick, direct and focussed in their communications. They are candid and can sometimes become aggressive on being opposed to their opinions and ideas. Their aggressive behaviour is generally a result of frustration, because Mercury in Aries almost childishly assumes that others will accept their opinions smoothly. Such people have a sense of sensitivity and defensiveness, as they are quite personally attached to their ideas. These people have a tendency towards streamlined learning, and do not like to get into the depth of details. They are habitual for dismissing what they feel are irrelevant and useless for them. There’s a certain innocent charm in such people that they show through their communication. Many will appreciate the utilitarian approach of this sign. As a friend, you can easily count on them on being straight with you. In some situations they might get frustrated with the current trend of their life and wander around to find an exciting change. As a result, such people may come across as more impatient and rude than they actually are. People with Mercury in Aries are fond of starting new things and are not attached to outdated ideas. They have an enthusiastic style and often take criticism or negative feedback very personally. Such people are not afraid of fight or facing challenge on mental level. They possess a visionary intelligence that helps them through with all the challenges. They take new projects and ideas on with an unmatched enthusiasm with this position of Mercury. This placement produces an active mind, that can deal out ideas like cards in a game and reshuffle their thoughts and begin again in case of dissatisfaction. However, because of ample of new ideas going in their mind, Mercury in Aries natives can be quick to dump one idea or opinion for something more exciting and fresh. Such people have a varied sense of promoting their new ideas. They have a very convincing and motivating style of communication that helps them to reach masses. Such people are born leaders, quick to adopt absolutely new and innovative methods. It is very important for the native to employ intellectual faculties efficiently and with full awareness and accomplish all the goals.